Show your commitment to conservation carrying your WWF golf umbrella with you. 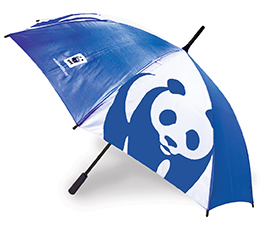 The navy blue WWF golf umbrella features a wooden handle and WWF's panda logo. It is 32 1/2 inches long.